When I was a little kid, my parents often eschewed cakes for my birthday parties, and instead opted for ice cream sundaes and banana splits. It made perfect sense: ice cream is so easy, and you can get multiple flavors to ensure that everyone is happy. Like most people, I still love ice cream. I love it plain, or in sundaes, or in splits, but most of all I love ice cream sandwiches. They're the ultimate treat, for celebrations, or just for hot days. Recently, however, I found out a new twist on the ice cream sandwich: the loti, a street snack that is very popular in Singapore. 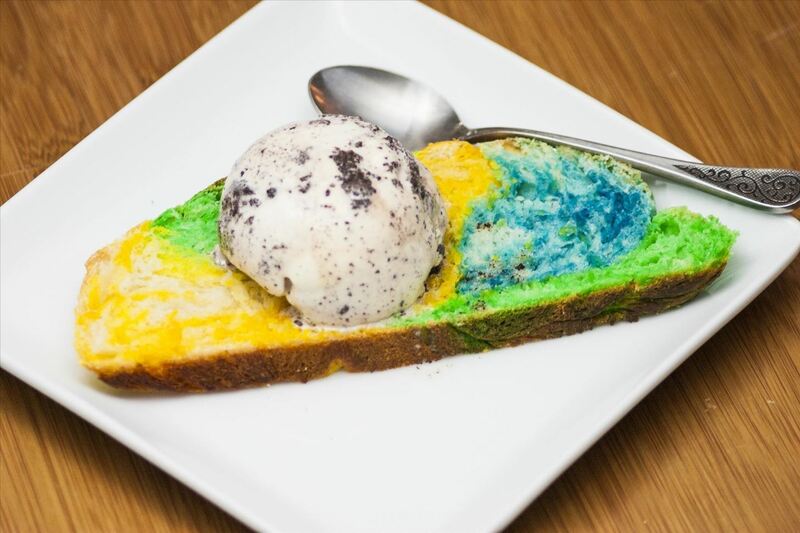 The ice cream loti is an ice cream sandwich made on sweet and colorful bread. It's beautiful, delicious, and easy to make, and it's the perfect party treat, thanks to its awesome and unique aesthetic. You can obviously make any kind of dough you want, but the best is a sweet white bread, kind of like a gourmet Wonder Bread (I recommend Saveur's recipe). You can also use a dessert bread, but I think something that's subtly sweet is best, otherwise the dessert is a little too sugary. 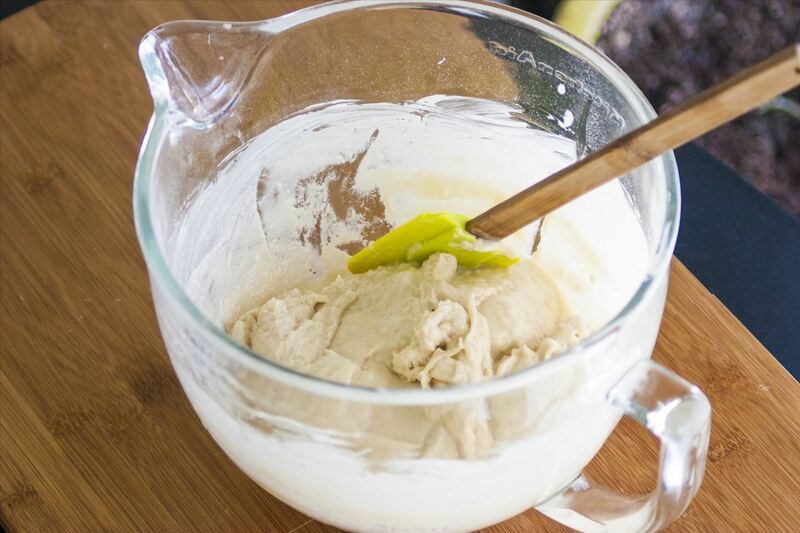 After kneading, but before resting, separate your dough into three pieces. 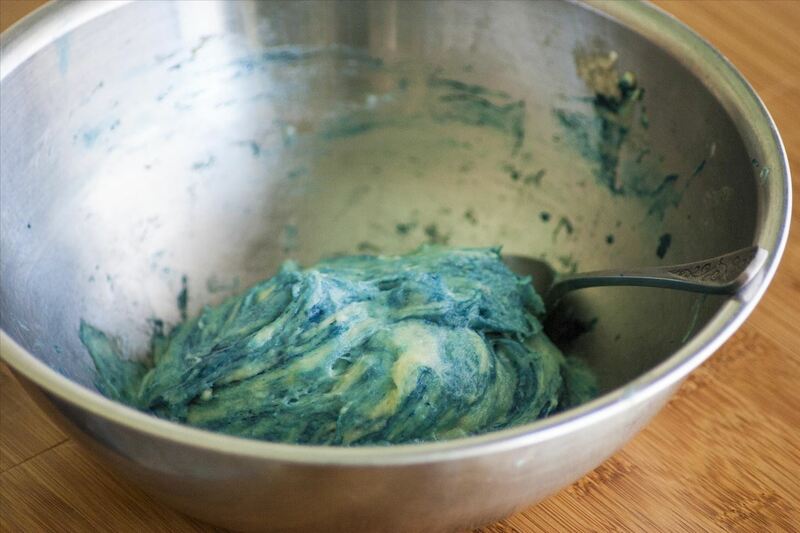 Add food coloring to the different pieces, and knead until the coloring is worked into the mixture. 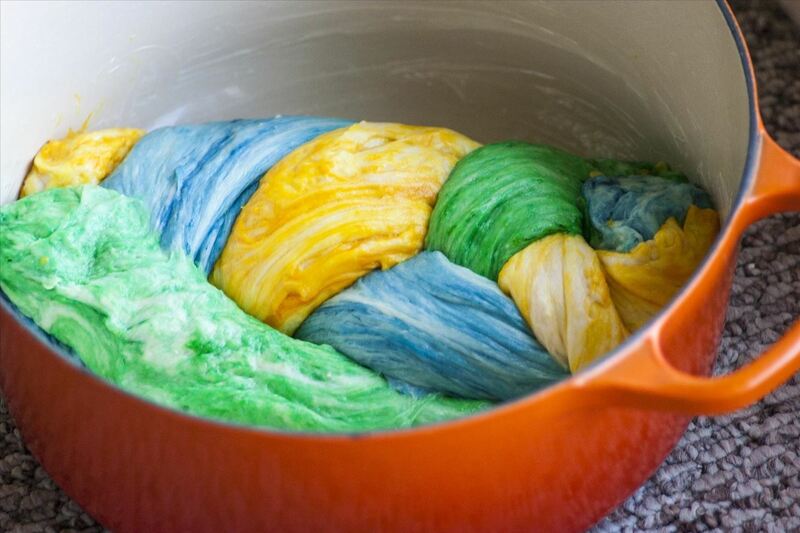 After the dough has been colored, roll out each piece into a long log, and braid the three pieces together. Tuck the ends underneath the braid, and place the dough into an oiled bread pan or a Dutch oven, depending on what shape you want your bread to take (you can even bake the bread in a cast iron skillet). Bake your bread according to the recipe. Ideally you'll want the crust on the bread to get a little golden, as that caramelization adds a lot of flavor to your ice cream sandwich. 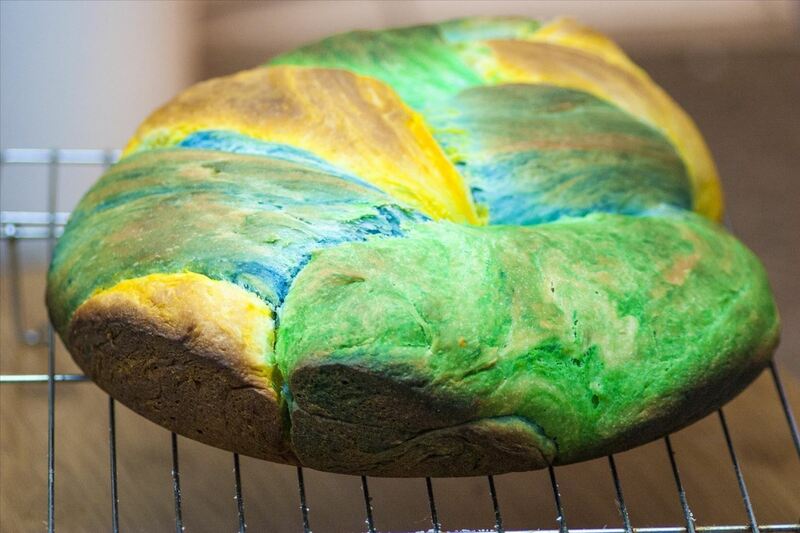 When the bread is done, remove it from the pan, and place it on a cooling rack. Once the bread has cooled, slice it up. 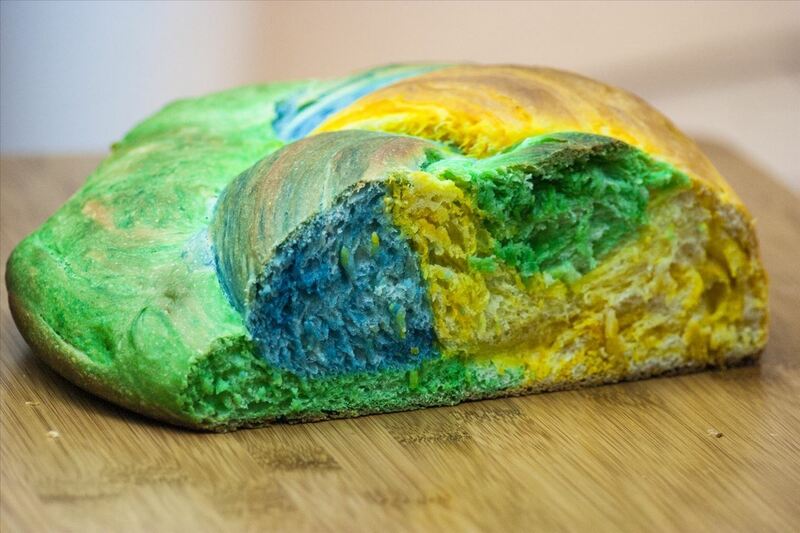 I like to only let it cool some of the way, so that the bread is still a little warm when I serve it. Then scoop your ice cream, add it on top, and enjoy one of the most fun and delicious dessert treats there is! Kids will love it, and so will you. What's your favorite way to serve ice cream? For those who prefer all-natural colourings, blue can be made with butterfly pea flower extract (or the flowers themselves, if you simmer them separately for a bit) - there's a popular Indonesian rice salad made with them! Yellow can be saffron or turmeric, depending on your tastes. Green is harder than you'd think, but some pulverised parsley will add a green speckle without changing the taste overmuch. A quick Google shows one smoother green made with simmered and blended spinach.